What&apos;s it like seeing the company change and evolve over the years? Bobby discussed the growth of the company and concluded by saying he thinks TNA will continue to grow. How difficult is it for Bobby Roode and James Storm to continuously come up with great matches? Bobby credited the chemistry between them and the fact they were two of the guys that helped build the company. Roode discussed growing up a fan of The Hart Foundation and talked about the great following for tag teams in the 80s and late 90s. He said now it&apos;s kind of a lost art form and he doesn&apos;t know the reason why that is. Bobby put over Bad Influence and credited them for helping rebuild tag team wrestling the company. He also gave credit to many of the teams in the company. Going back to the days of Beer Money vs. The Motor City Machine Guns, did he ever think three of the four would go on to be TNA Champions? Bobby said the four of them - Alex Shelley included - were so committed to putting the tag division on the map. He said he got into the business to be a world heavyweight champion and knew he would get the chance one day. He said at the time they were so focused on tag team wrestling it was there only focus. Bobby said he has a lot of respect for Chris Sabin and he&apos;s happy for him. Bobby was unable to pick one guy as the next "breakout" star but mentioned Robbie E and said he&apos;s always been a fan and sees him as a money guy if given the opportunity. Are we on the verge of a new direction of the Bobby Roode character? Bobby said it&apos;s come to a crossroads and he was on top of the world last year with the long title reign. When he lost the title last July it was a bit of an opener and he&apos;s been "lacking in the win department" ever since. He kayfabed here, saying it&apos;s time to get serious and he needs to get the world title back. Bobby reflected on a dark match he had in late 2003 against Konnan and he felt like at the time that TNA wasn&apos;t the place for him. He said it was very different from when he came back as member of Team Canada. He was leery about coming back but it was the best move he could have made. Roode reflected on his run with James Storm and of course becoming a world heavyweight champion a couple years ago. Roode said there are hopefully a lot more to come. Did you ever think TNA would get as big as it is? Roode said that it was everyone&apos;s dream at the time. When they were at the Nashville Fairgrounds, they felt like they were going to week to week. He was a true believer of Jeff Jarrett and still is. Roode said they continue to continue to grow at a great pace. Who would you like to work with and haven&apos;t? Bobby said he thinks he&apos;s worked with everybody in the company but there are a couple he hasn&apos;t done a lot with. That list includes Samoa Joe and Kurt Angle. What goals have you got left to accomplish? He has a lot left. He wants to be a multiple time world champion. He&apos;s still young and has a lot left to give. Any added tension because of the roster cuts? It hasn&apos;t been too bad at all. Some of the cuts were no unexpected but it just makes them want to work harder. It&apos;s tough when people go but it&apos;s just part of the business. He doesn&apos;t personally see people being worried. Bobby Roode sees it as a great move and gives fans stuff more to look forward too. Cutting back to the four pay-per-views gives matches a "bigger feel" and lets stories develop over time and they aren&apos;t rushing anything. He&apos;s all for it. What do you think of the WWE Performance Center? He&apos;s heard about it but hasn&apos;t seen pictures and cannot really comment. Bobby doesn&apos;t have any guesses as to who it is but is "extremely interested." Was it frustrating that the TNA Championship wasn&apos;t on the line in his bout against James Storm at Bound for Glory last year? He said it was frustrating to him and to fans because everyone wanted that big payoff, however, they still went out there and had a hell of a match. Is the lack of new talent coming in a cause of concern? Bobby doesn&apos;t think it&apos;s a huge concern because there are so many things they could still do. He stressed the importance of building the guys that they have and making them bigger names. Bobby said he likes to think he is helpful to the younger workers. He&apos;s one of the veterans now but he&apos;s not ready to take a backseat. He wants to be a guy that&apos;s going to main event pay-per-views and TV shows and be a world champion. What was it like winning the TNA Championship? A combination of relief and excitement. Thirteen years prior to winning the TNA Championship, when he first broke in, he always wanted to be that guy. The win was just a combination of a lot of things - basically that he did it and accomplished it. Could a manager help him get his title back? Bobby Roode said Bobby Roode can help him get the title back. He kayfabed here, he&apos;s not proud of his Bound for Glory Series standing. 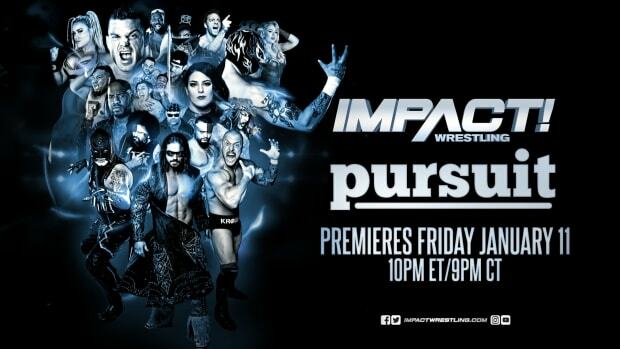 The weight falls on his shoulders and it begins Thursday night against Hernandez on Impact. He grew up watching Bobby Heenan, Mr. Fuji, etc. but today it&apos;s different. If you want to be a top guy today, you have to be able to talk and walk the walk on your own. The days of the managers has came and gone. Bobby said it felt great and admitted he was happy Chris Sabin beat Bully Ray because Bully was coming for his reign. Any interests outside of pro wrestling? Bobby said he lives, breathes and eats wrestling. It&apos;s the only thing he really cares about. It&apos;s a passion he&apos;s had for the last 15 years of his life. He won&apos;t be able to wrestle forever but outside of family, the only thing he concentrates on is pro wrestling. What would he have been if he wouldn&apos;t have been a wrestler? He was a huge hockey fan growing up and he had the dream of being a professional hockey player but he always had the dream of being a professional wrestler as well. Were the Canadian legends like the Harts an inspiration to him? Absolutely they were and Bret Hart was one of the guys that inspired him. An MP3 of the call will be available later in the week and we&apos;ll post it when we receive it. 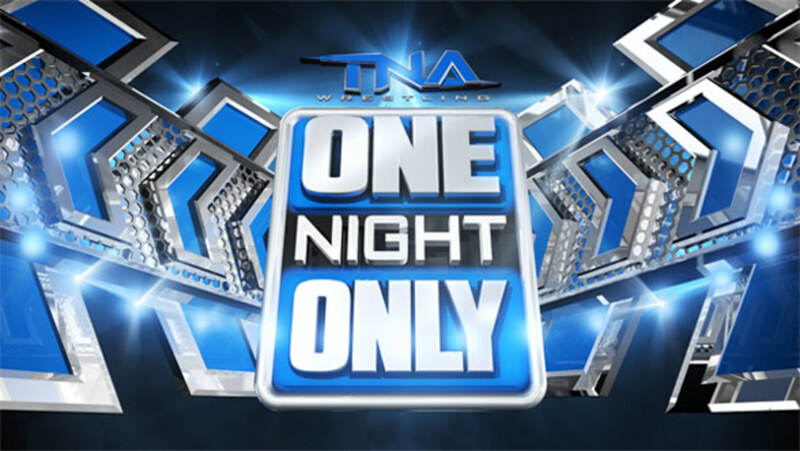 For more on One Night Only: TNA 10 Reunion, click here for official show information.